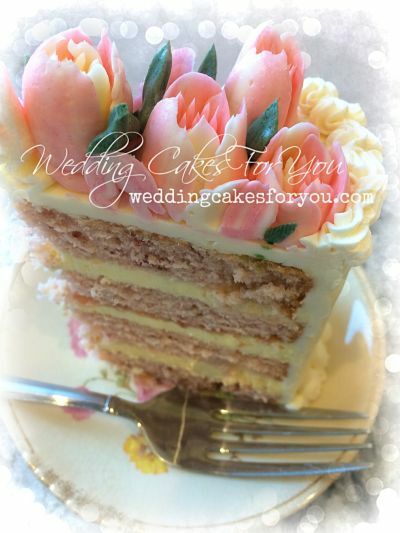 This Strawberry cake is all the rage and is perfect for Valentines day cakes. It's a NEW delicious recipe and so pretty. The buttercream Tulips are made with Russian piping tips. If you haven't tried the Russian tips yet, here is the page with the information on how to use them. You can make these beautiful tulips with one squeeze. Italian meringue buttercream is what I used to make these. But you can use any buttercream that you like. Freeze dried organic Strawberries are a key ingredient in this wonderful cake recipe. Give it a try and let me know your thoughts. You can comment at the bottom of this page. The video will show you how to make this luscious Strawberry cake layered with Lemon curd and Italian meringue buttercream. If your a chocolate lover than give this decadent cake a try. It's one layer of rich dark chocolate covered in dark chocolate ganache. Both the cake and the ganache recipe are in the video below. The recipe has very little flour, almost flourless but with rich amounts of butter and chocolate. It's delicious. A simple decoration is all that is needed with this dessert. 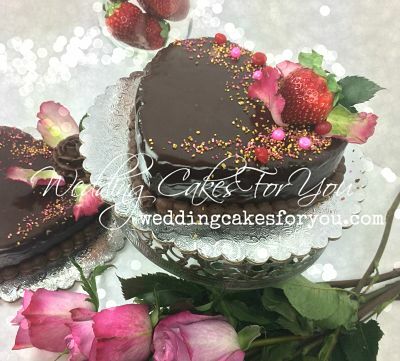 Strawberries, Rose petals and glitter are the perfect adornments. I've been admiring Korean style cake decorating flowers as of late. 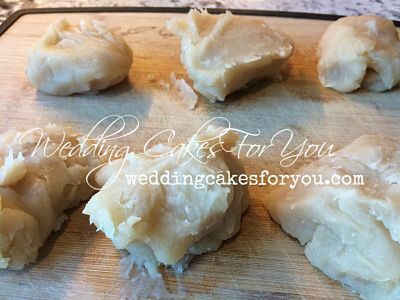 They are made using a sweet white bean paste. Often times the coloring agents that are used are all natural as well. The beauty of these piped flowers comes from the soft hue and translucency of the petals. I decided to make a home made batch of both the sweet bean paste and the beet powder. It was a lot of labor, but well worth the effort. Below is a photo of the paste as it is cooling. 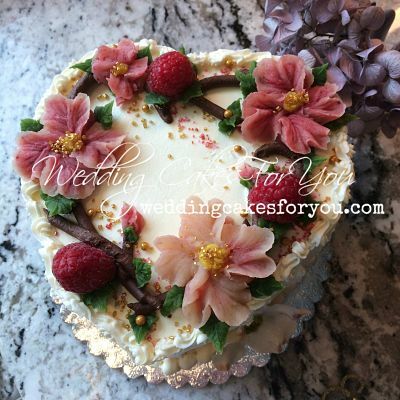 The video shows me decorating this sweet heart shaped cake using a Korean recipe for bean paste flowers. This makes an interesting and quite delicious alternative to buttercream. The sweet white bean paste below is the result of hours of work. All hand made from beans. The beans are soaked overnight, then cooked until soft. After they cool you put them through a sieve (I have also read that you can use a blender) which I will be trying the next time I make this. Sugar or sugar syrup is added and the paste is cooked down until very thick. You then cool it down as shown in the photo. Wrap it and refrigerate or freeze until ready to use. If you want to learn old school piping techniques watch the video below. You will see how to do cornelli lace, little rosettes, stars and dots. The borders are a row of shells overlapping a zig zag. Also in the video you can see how I added the flowers on top without touching the cake. 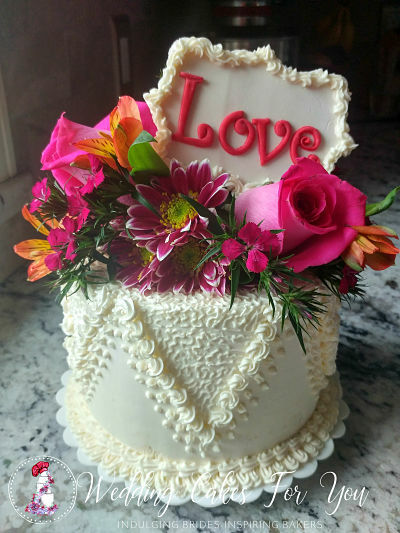 The LOVE sign on top is made with gumpaste and bordered in buttercream. The video shares two cake presentations using this one design. For a dramatic look you can use pillars and a spray of greens on top. Love to Bake And Decorate? Click on the picture to read more about how my books will lift your spirit and give you the confidence to WOW your friends, family and customers !!! 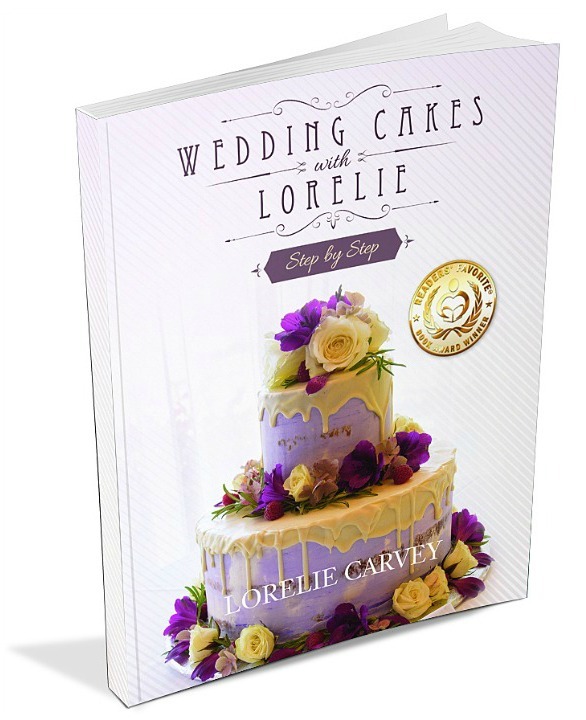 Includes my best wedding cake recipes, a membership to my private cake group, access to a customers only page with downloads and a step by step video.